Genetic mutations occur throughout the body. However, as we age they become more prolific. This can affect our fertility. Once women reach their mid-30s fertility rapidly declines. By the age of 40 the chances of natural conception are significantly decreased. Women have a limited supply of eggs and associated genetic mutations increase with age. However, understanding the processes that cause a decline in egg health is still a work in progress. Recently published new research suggests that human eggs maybe ‘time stamped’ and this is all linked to cumulus cells and oxygen deprivation. Human eggs (oocytes) are surrounded by a cluster of cells called cumulus cells. Collectively this protective outer layer is known as the cumulus oophorus. This group of cells are present within the ovarian follicle and they persist following ovulation. Also, for fertilisation to occur the spermatozoa must penetrate the cumulus oophorus. Cumulus cells perform a number of functions. They are responsible supporting the maturation of the oocyte and transmitting endocrine signals linked to ovulation1. These cells also provide an important energy substrate for glycolysis and meiotic resumption, as well as overall protection of the oocyte2. The vital roles these cells play in oocyte development has opened avenues for using cumulus cell gene expression in profiling for oocyte quality assessment and potential embryo development. Research just published in the 2016 issue of the journal Molecular Human Reproduction has shed new light on ovarian aging and genetic mutations. During this study, researchers from the Yale School of Medicine have identified key molecular pathways associated with cumulus cells and the aging of human oocytes3. During this research, scientists were interested in determining the cause for the rapid decline in egg quality after the age of 40. The team examined 20 cumulus cells in 15 patients. Seven patients were over the age of 40 and eight patients were under the age of 35. By examining the divergence in RNA expression between the age cohorts, the scientists were able to draw several conclusions. Researchers found that of the 11,572 genes expressed in the cumulus cells of both age cohorts, 45 were expressed differently. Although at the surface this may not seem like a lot. However, these 45 genes were linked to hypoxia stress release. This oxygen deprivation causes cumulus cell death, essentially removing the very protective mechanism designed to nurture eggs. Consequently, this sub-optimal oxygen level within the ovarian follicles triggers a cascade of biochemical modifications in the cumulus cells and genetic mutations. Subsequently, these findings indicate that the ovarian microenvironment in older women promotes the expression of hypoxia-induced genes caused by chronic exposure to poor oxygen levels. According to the researchers these are the mechanisms that cause oocyte aging and deterioration in women in the mid-30s and older. Basically, modification of RNA triggered by age-induced hypoxia in cumulus cells are biological clock messengers. This can cause chromosomal abnormalities in oocytes. Consequently these change may account for the decline in fertility, an increase in miscarriage risk, and genetic mutations causing birth defects associated with older mothers. What does this mean for older mothers? Screening cumulus cells for signs of hypoxia could assist to identify healthy eggs during in-vitro fertilisation treatments. This could also provide a mechanism to modify ovarian stimulation protocols for better results. Therefore, ultimately the aim is that this knowledge may lead to advanced treatments to improve fertility in woman in their mid-30s and over by correcting age-related damage. 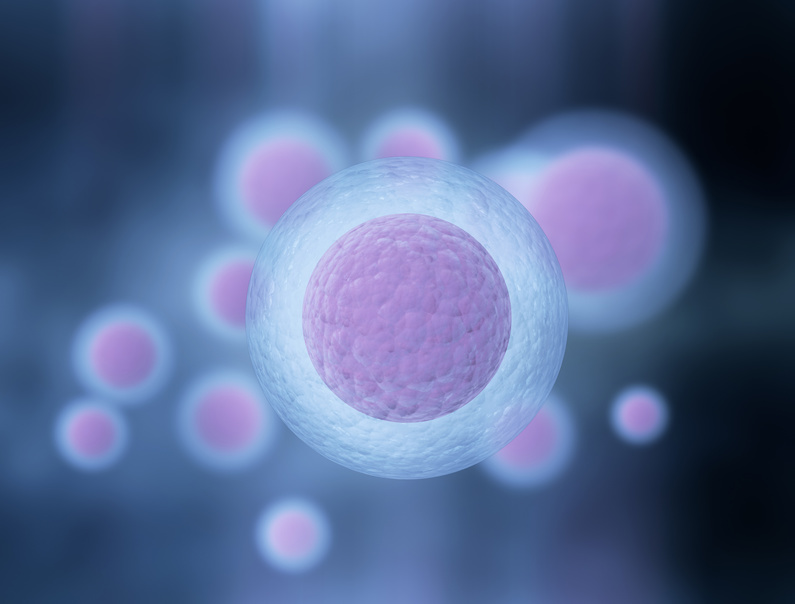 Although the findings of this research has shed new light on what happens to human oocytes as the body ages there are still many questions that need answering. Despite the fact that there was clear genetic differentiation between the two age cohorts, these variations were not assessed in terms of embryonic development or clinical results. Nevertheless, how these genetic mutations progress is unclear. Also, the study sample size was also low, with only 15 participants. Investigations into the actual cause of sub-optimal oxygen levels within the ovarian follicles are required. Nevertheless, this study has paved the way for further investigation and new avenues to explore with the aim to improve female fertility in older women.